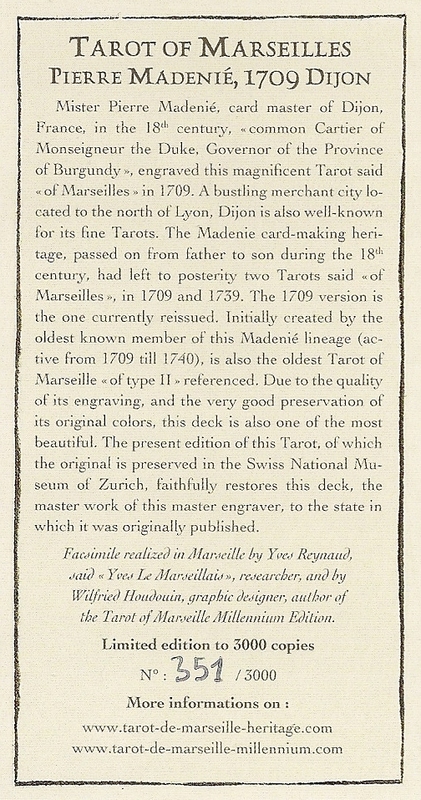 Pierre Madenies Tarot is the earliest of the so-called Tarot de Marseilles, type II. It is similiar to its precursors, the Noblet and Dodal. There is one copy in the Swiss National Museum (see Kaplan, Encyclopedia of Tarot, Volume II, p 314-315) and there is another similar copy lacking the Trumps housed in The British Museum. This is a facsimile of the complete copy, preserved in the Swiss National Museum of Zurich, wrapped in the reproduction of its original sheet of packing, and protected in a telescopic box. Limited edition of 3000 copies, mine is number 351. There are two extra cards which tell a brief history of the deck – one in French, one in English. The french text on the wrapper paper translates: “Fine Tarot Cards, made by Pierre Madenié, working near the cemetery of Notre Dame at Dijon, cardmaker for the Lord Duke, Governor of the Province of Burgundy.” The makers name and date of production are on the two of coins. 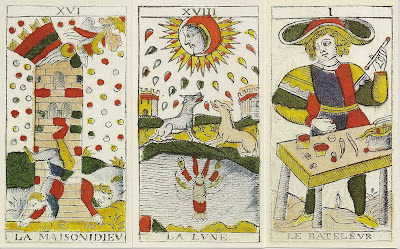 The Major Arcana contain roman numerals at the top of each card except for Le Mat, which is unnumbered. 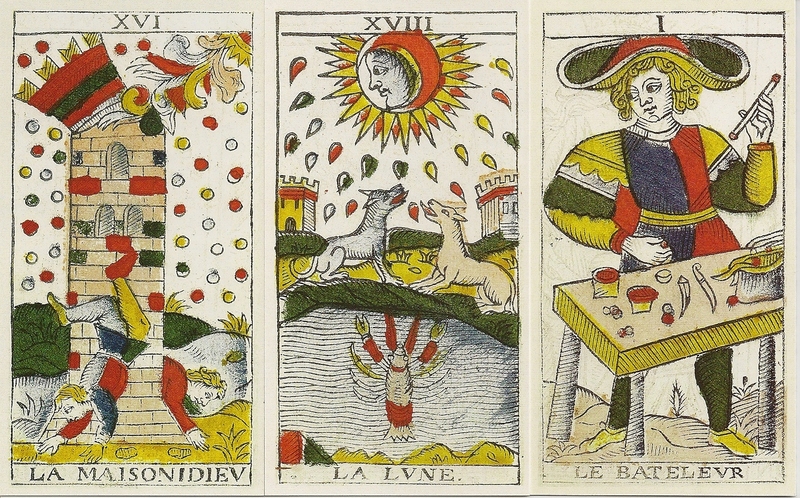 Card titles in French appear on all Major Arcana except Death, and on all the court cards.